April 15, 2019 (Pittsburgh, PA) — Leigh Ann Curl, M.D., head team orthopedic surgeon for the NFL’s Baltimore Ravens and President of the NFL Physicians Society (NFLPS) was inducted into the Western Chapter of the Pennsylvania Sports Hall of Fame this past weekend for her successful athletic career in basketball and softball. Each year, the Pennsylvania Sports Hall of Fame inducts athletes, administrators, coaches, and those involved in sports medicine and the sports media. Dr. Curl was recognized as the only high school athlete ever to be named to both the Post-Gazette Fab Five in Basketball and All-Area Softball team. As a senior basketball star, she averaged 17 points and 14 rebounds per game. In softball, her two-year record as a pitcher was 33-2 and led her team to a PIAA Championship her junior year, and the Pennsylvania State semi-finals during her senior year. During her college basketball career at the University of Connecticut, Dr. Curl had 1,388 career points and 834 rebounds, still 11th all-time. She was her class valedictorian and graduated with a Bachelor of Science degree in Biology. 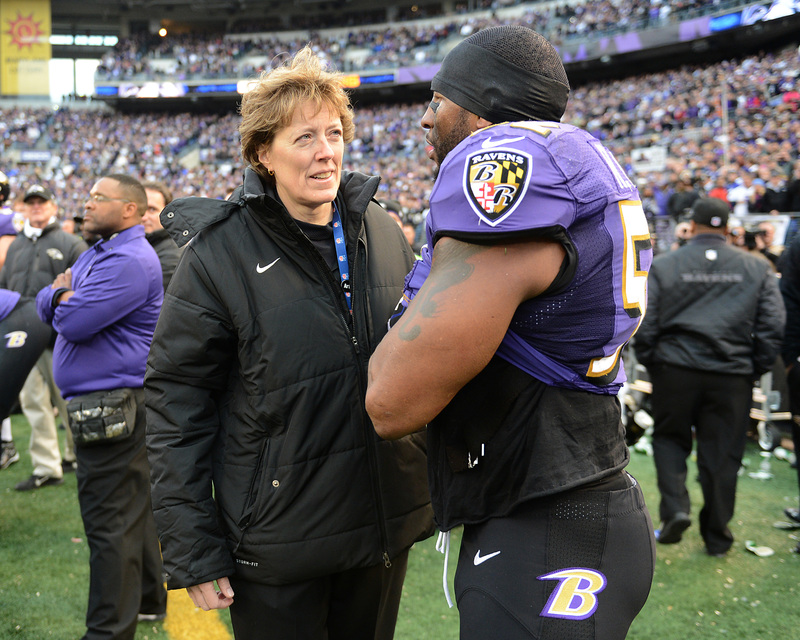 Since the conclusion of her athletic career, Dr. Curl has worked with the Baltimore Ravens since 1997. She was named Head Team Orthopedic Surgeon in 2001 after Super Bowl XXXV. Alongside her work with the Ravens, she is an assistant physician for the Baltimore Orioles. Prior to joining the Ravens, she was assistant physician for the University of Maryland Terrapins, USA Women’s Basketball, USA Women’s Rugby, Johns Hopkins University, St. John’s University, and the New York Mets.